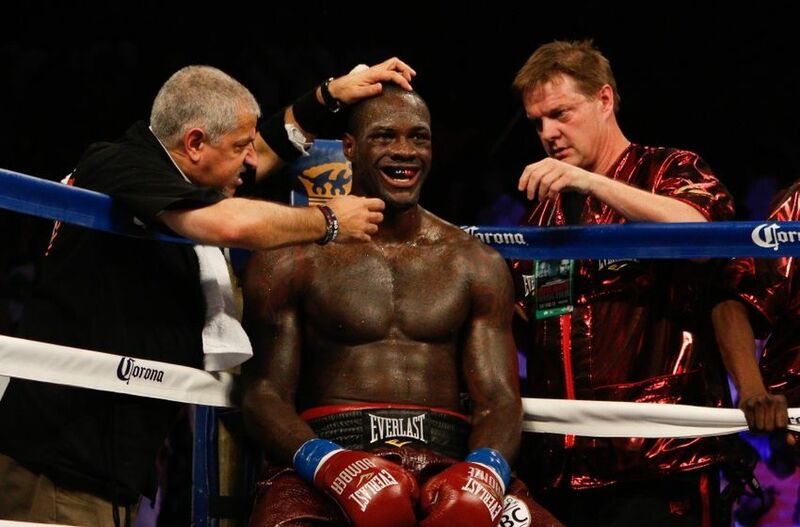 Eddie Hearn has given WBC heavyweight champion Deontay Wilder a spray for comments he made about Dominic Breazeale. The 33-year-old ‘Bronze Bomber’ suggested he could kill the challenger when the pair meet at Brooklyn’s Barclay Center on May 18 in a mandatory title defence. During a heated press conference Wilder told Breazeale to “make some funeral arrangements” before challenging Rocky Balboa’s Russian nemesis Ivan Drago by shouting “if he dies, he dies”. Hearn said the comments were particularly distasteful in a sport where serious injury and even death are very real risks. “I just think, on comments like that, this is a sport where anything can happen and terrible things have happened in the ring. And I just think, if something bad happened, and you’ve said that, you’ll probably regret that for the rest of your life,” Hearn told iFL TV. “Some things get said in the heat of the moment, he’s a very emotional guy Wilder – or he’s a very good actor, might be a bit of both actually. “But for me, and this will probably sound boring, I would rather try and let this fighters inspire a generation of young people and be role models, rather than talk about opponents making funeral arrangements. I think it’s bad for the sport. Hearn went on to criticise Tyson Fury for his decision to face undefeated but unheralded German Tom Schwarz rather than pursuing an immediate rematch with Wilder, who most pundits believe he defeated in their December draw. “It’s a dreadful fight. You’ve just fought Deontay Wilder, you’ve basically beat Deontay Wilder – I know it was close but most people had him winning the fight. They’ve ordered a rematch, pulled out of the rematch, and now you’re fighting Tom Schwarz,” Hearn continued. “If Anthony Joshua did that, what do you think the reaction would be? But I don’t blame Tyson Fury. He’s been given a load of money to have an easy touch, no problem.